The often seen and always popular #ds1064Life Twitter hashtag. In January 2011, I started the Spring edition of the digital storytelling (DS106) MOOC that’s facilitated by the University of Mary Washington (UMW) in Virginia, USA. This was the first year DS106 was offered as an open MOOC style course alongside the existing face-to-face classes. What’s funny about the course is that even though it officially finished in May 2011, I’m still DS106’ing. You see, DS106 is like no other course. It starts like any other course, it becomes a preoccupation, and then a never-ending obsession. An obsession to generate creative output every day in public. That’s what DS106 is all about. It’s about creating and taking control of your online identity. It’s about understanding how to use digital tools. It’s about practice. It’s about engaging your own creative process, failing in public and failing often. Failing, so you can improve and refine your skills. DS106 is also about sharing your failure and success with others. Others, who are also engaging and sharing their own creative process. So, what do you do exactly? Well, you use digital tools to tell stories. What kind of stories? Your story! You can complete scheduled assignments and any number of student generated design or visual assignments. The Daily Shoot has also been a popular part of the course. There’s also scope for something fun, like mowing your lawn. You can also use DS106TV or DS106radio to broadcast field reports/recordings, bumper/station IDs or even go LIVE! I think DS106 is the only course that I’ve undertaken that has become a community. Where relationships created and discussions started during the course have continued throughout and after the course! DS106 is back, this time it’s a DS106 ‘Summer of Oblivion’. It’s a 5 week course that’s being run by Dr Brian Oblivion through the US summer from June 20 – July 21. I’ve signed up. 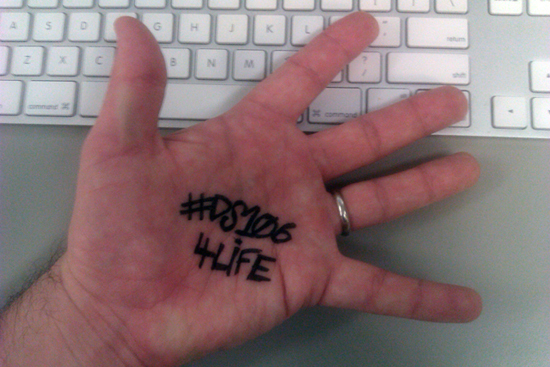 DS106 is for life! In 2012, I took signed up for DS106 Spring/Summer course yet again. DS106 was a little different as it featured The Daily Create (TDC) alongside the regular assignments you had to complete. TDC is a daily creative activity that requires you to use your video, audio (SoundCloud) or photographic/image manipulation skills to respond to a short prompt/brief. In 2013, I watch from the sides, but still took part in TDC activities and in 2014 I took part in DS106 Goes to Work as an open online participant. 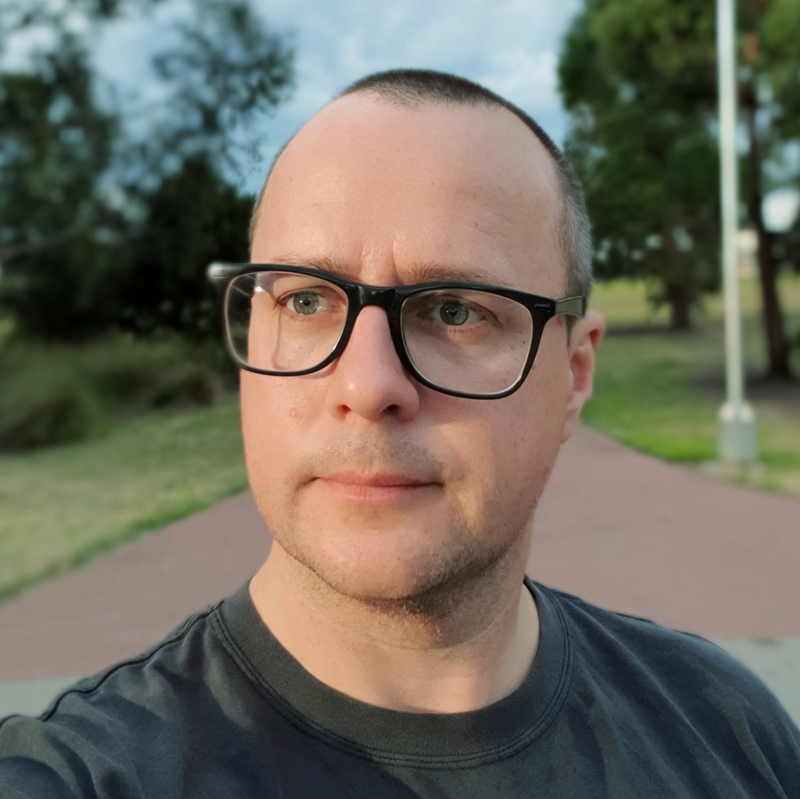 Want to know more about DS106? Watch Jim Groom and Martha Burtis from UMW tell the story of DS106. Pingback: The 2011 Trainer and assessor currency program | amidoinitrite?